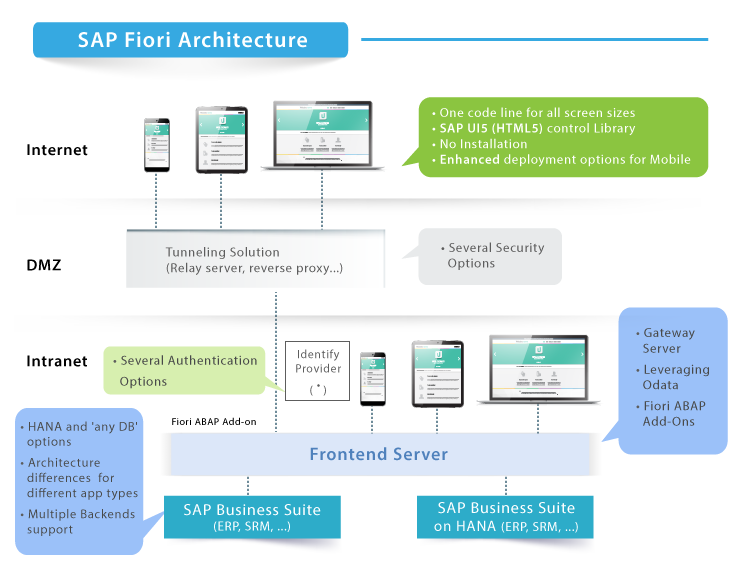 SAP Fiori is a set of apps, newly written by SAP, that address the most broadly and frequently used SAP functions, such as workflow approvals, information lookups, and self-service tasks. They provide simple and easy-to-use access across desktops, tablets, and smartphones. It allow users to perform SAP transactions on mobile devices as well as desktops. For instance, there is a transactional app for creating a leave of absence request and another for approving a purchase order. It allow users to display key performance measures and other aggregate information about the business. It display information about key business objects in SAP. For example, there is a fact-sheet app for viewing a central purchase contract; it allows users to also drill down into related entities, such as vendor contacts, items under contract, and terms. SAP HANA is a memory, column, system developed and marketed by SAP SE. Its primary function as database server is to store and retrieve data as requested by the applications. In addition, it performs advanced analytics (predictive analytics, spatial data processing, text analytics, text search, streaming analytics, graph data processing) and includes ETLcapabilities and an application server. Accelerates transactional and analytical processing against a single copy of data in-memory to deliver real-time insights against fresh data, while dramatically reducing data footprint and hardware and operation costs. Provides application services to support more agile development of modern applications. It also simplifies the application architecture and improves performance because data must no longer be transferred between an application server and database. Embeds data integration capabilities to support rapid access and analysis of data from any data source for broader insight. Delivers enterprise-grade high availability, disaster recovery, scalability, and security capabilities to ensure continuous operations without disruptions.